To help further the academic pursuits and dreams of qualifying and deserving high school seniors by providing financial assistance to those enrolled and attending Morgan State University. In the fall of 2016, Bursting With Promise was blessed to present its very first scholarship award of $1,000 to an exceptional high school senior who entered MSU as a freshman student. In the fall of 2017, we were again blessed to present a scholarship award of $1,000. And in the fall of 2018, were blessed to present a scholarship award of $1,000 to 4 deserving students. Our goal is to honor the memory of Adedire Ososanya by awarding one to six scholarships annually, each ranging from $1,000 to $2,000. We have also been blessed to provide book bags and school supplies to Kingsford Elementary School in Prince George's County Maryland. 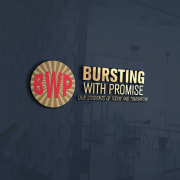 Would you recommend BURSTING WITH PROMISE INC?